Hold I + II, then reset the game at the title screen. Repeatedly tap or hold Up/Right + Select until the phrase "Continue Mode" appears. 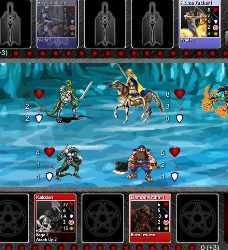 In this mode, power and the units awarded at the end of each level is doubled. 10,000 points are awarded if full energy is remaining after defeating the Boss of any level. For each additional Boss defeated with full energy, the point bonus is doubled. 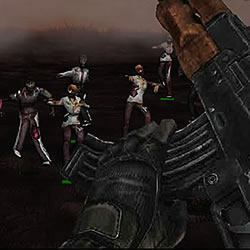 Hold I and reset the game during game play, or hold I and reset the game at the title screen. Repeatedly tap or hold Up/Left + Select until the title screen appears. Note: Reset the game to return to game play. Hold I + II, then reset the game at the title screen. Repeatedly tap or hold Down/Left + Select until the phrase "Continue Mode" appears. The number of continues allowed is equal to this formula: (Score/1,000,000) + 3. 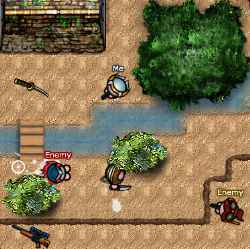 Or simply Click here to find more Veigues Tactical Gladiator cheat codes.